A journey through the origins and influence of funk music from James Brown to D’Angelo, we are FINDING THE FUNK! 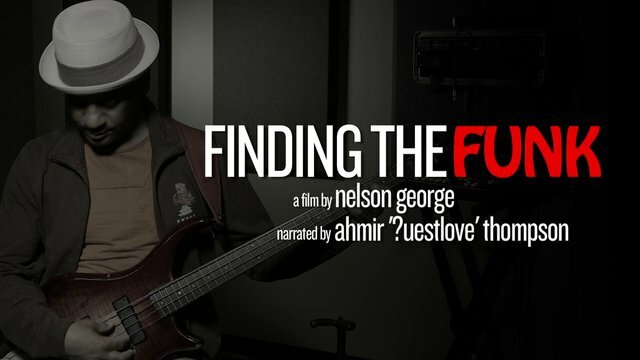 Inspired by an idea from legendary record producer Arthur Baker, Finding The Funk is a road trip in search of the past, present and future of Funk music. We start in Dayton the birthplace of so many of Funk’s originators, then onto Detroit where from the ashes of Motown, P-Funk’s Mothership arose and then to LA where a new crop of musicians, like DaM-FunK, are creating their own Funk history. Among those featured in the film are Sly Stone, Bootsy Collins, Mike D of the Beastie Boys, D’Angelo, Marcus Miller, Mtume, Nona Hendryx, Vernon Reid, Maceo Parker, Bernie Worrell, Steve Arrington, Reggie Hudlin, Sheila E, Shock G, Alan Leeds, Sade‘s Stuart Matthewman and Diplo. Hosted by Ahmir “Questlove” Thompson of The Roots. Directed by Nelson George. VH1 will premiere FINDING THE FUNK on Tuesday February 4, 2014.